Around 1,400 UKCS wells will have to be abandoned over the next 10 years alone at a cost of £7-8billion of which the UK taxpayer will fund around half, according to Malcolm Banks, wells solution centre manager at the Oil and Gas Technology Centre (OGTC). “The high cost of well abandonment is usually driven by the fundamental principle of what we’re trying to do, which is in simple terms attempting to replace the (natural) barriers in the wellbore that were there before we drilled the hole in the first place,” said Mr Banks. “It’s a very important thing to get right so there is no future release of hydrocarbons,” warns the wells specialist. Simply to get the barrier into the right place in a wellbore being abandoned, there are three key themes that are regarded as vitally important from an industry point of view. One is knowing the geological structure, including understanding the pressure regimes or the potential flow paths that may be there from the geology and so pressure changes that may occur over geological time as a reservoir recharges. So it’s about interpreting current and future conditions that barrier elements will have to face. The second is the issue of wellbore access in order to put the barrier or barriers in the right place. Mr Banks says that still a challenge for the industry because it is conditioned to using cement to form the barrier or barriers downhole and this demands effective formation to formation connectivity of that barrier or barriers across the wellbore. That generally means having to employ a drilling rig to remove the tubulars, casing and tubings that may be installed downhole before being able to gain sufficient access to enable a barrier or barriers to be set. The third piece is the barrier material itself. That has to be very robust and in effect last for geological time to ensure there is no subsequent release of hydrocarbons if the barrier deteriorates. “We need to understand the competence of the barriers we put in place, the isolation that they provide then we need to do some form of checking, monitoring over a period of time,” Mr Banks said. Starting with potential barrier alternatives to the ubiquitous concrete plug, the industry is currently looking at three key alternatives such as bismuth alloys and thermite plugs, plus Biogrout. Two are at the forefront of innovation and the third amounts to technology transfer. There are two further barrier-related projects, namely Aubin’s reverse scale squeeze idea to deliberately clog formations and magnetic cement being developed by Well-Set of Norway to enable better wellbore plugging. Bismuth alloy has a relatively low melting point of about 150degC, is inert and can be delivered downhole in pellet form. A heat reaction is then triggered; the alloy flows “with a viscosity like water” … it has a (specific) gravity of around 10sg, which means it flows very well into cracks and fissures in the wellbore, and when it sets it expands … rather like water freezing to become ice. “The challenge is getting it verified and accepted as a barrier and so we’re working with the industry and material provider to test and verify it against different criteria,” Mr Banks said. Thermite’s not new, it’s been in use for 100 years on railways. This is a combination of iron ore and aluminium oxide and involves a very high temperature thermal reaction that enables exothermic welding. The vision is that it could be deployed downhole in a pre-ignited form as a block or powder, then it would be ignited and the exothermic reaction would melt the adjacent well casing and fuse into the wellbore. Thermite should therefore reduce the need to remove casing whereas that’s not possible with bismuth. The hope is that Thermite could get through multiple casing strings, bond with the geological formation and create a metamorphic plug with a high iron content. Interwell is currently driving development and OGTC is also working with another company called Isolate. “We’ve built an industry collaboration group of about nine current operators around the North Sea. We’ve worked with Spirit Energy, which is one of the leaders in this area,” Mr Banks said. “They’ve deployed the material in an onshore UK well at Caythorpe, Yorkshire, and they’re looking to try it offshore next year. “We’re also collecting data from operators that are using it in other parts of the world, mainly onshore Canada so we can learn how it functions downhole. This offers the potential to repair cement barriers that may have deteriorated over time and is aligned with research that Strathclyde University is conducting in the civil engineering and nuclear industries. Microbially induced calcite precipitation (MICP) uses naturally occurring soil bacteria to produce calcium carbonate via a biochemical reaction. Otherwise known as “bio-grout”. It is being adapted as an alternative to traditional cement and chemical grouts. MICP bio-grout is cheap and low carbon. The injected grout has a viscosity similar to water enabling low pressure injection. The idea is to pump it downhole in fluid form. Then the bacteria can set to and generate a calcite deposition. It is thought this could be used to close off fissures and fractures in cement plugs; also reduce permeability of the cement barrier. This is a process that may take several weeks after which the bacteria perish. While it is clear that this works with low temperatures applications such as in civil engineering, the question remains as to whether it will be work at the higher pressures and temperatures of the downhole environment. It is at the research stage and has yet to be tried down a well. Calcite deposition is generally a self-scaling process and is a nuisance in producing wells, though acidisation is a proven remedy. Still pursuing the barriers theme but this time the topic is concrete with a twist, Norwegian firm Well-Set of Stavanger has come up with a novel technique to suspend cement in a casing annulus. This potentially allows cross-wellbore cement plugs to be set using rig-less techniques without having to cut and pull casing strings. This technique uses magnetorheological (MR) cement to form a hopefully effective barrier in an annular space. The MR cement is suspended between two magnetic fields until the cement sets, meaning that there is no scope for gravitational slump of the ferric particles. This technique allows casing annuli to be effectively plugged between defined depths using rig-less techniques (wireline or coiled tubing). According to Well-Set the technique enables a robust ‘cross-sectional’ abandonment barrier to be created in the wellbore, without having to cut and pull casing. Aubin’s slant on barrier technology is to take an opposite approach to scale squeezing, which is about unblocking a formation that has scaled up during production. 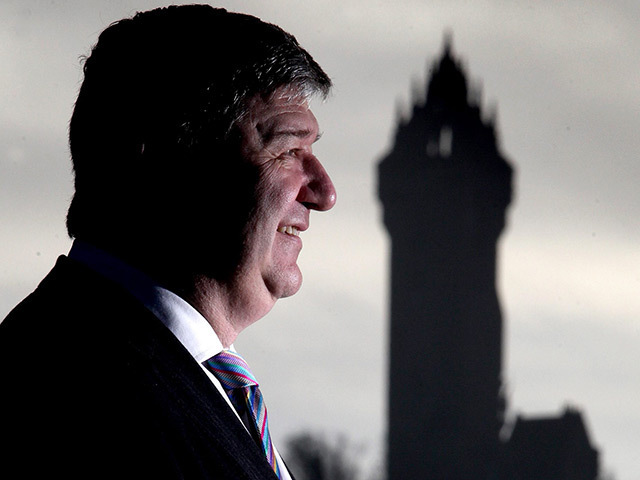 What the Ellon, Aberdeenshire firm’s MD Paddy Collins and his team are doing is seeking to replicate scale formation downhole. The goal is to pump the fluid designed to promote scale creation by pumping a cocktail downhole into the reservoir prior to abandonment. It is left for a while to enable precipitation of the scale, hopefully sufficiently blocking formation pores to prevent the flow of hydrocarbons into the wellbores to be abandoned. “Whether it could ever become a full-time barrier or an enabler to reduce downhole pressures and flows prior to permanent barriers being installed is something we’re exploring,” adds Banks. One of the single biggest cost element of decommissioning wells is the removal of steelwork … primarily wellbore tubulars. And so OGTC is looking at alternative ways of dealing with this. As a result it has a project going with SPEX, which is multi-faceted oilfield service company formed in 2009. It is looking at casing removal by deploying thermal cutter tooling developed for delivery via wireline or coiled tubing perhaps to enable removal of sections of tubulars downhole just at the point or points where barrier material is to be fitted and without the need to drag all the casing steelwork out of the well-being decommissioned. Conventionally this sort of work would involve section milling, which can be time consuming and may create machine cuttings handling problems at the surface. Mr Banks’ view is that the technique is not dependent on casing quality or condition, bearing in mind it is thought a lot of North Sea well stock is in poor downhole order. “We’re also working in a couple of other areas around how to understand well data and how to respond to that. “We’ve got a project with Heriot-Watt University, which is looking to achieve an holistic understanding of a combination of within-wellbore, near-wellbore, in wellbore and geological surroundings, taking a risk-based approach to understanding abandonment needs,” Mr Banks said. “So, if you can imagine that you have limited datasets for your particular well but that there is a lot of data geographically, how you build some smart analytics that can take all available information and deliver a predictive outcome about what the risks key to your well are and what the risks around it might be. “Then you can tailor your abandonment programme that takes into account surrounding geographic/geological similarities that would allow you to say: ‘Well, based on all this offset information, your well faces this, this and this challenge; this is where barriers required are most likely to be placed. “And by gaining an understanding of the pressure regimes and the likely recharge pressures might be, you could get better modelling and predictive outcomes. “We also have a project with RGU where we’re helping to support the funding of the decommissioning simulator that they’ve got in place,” said Mr Banks. 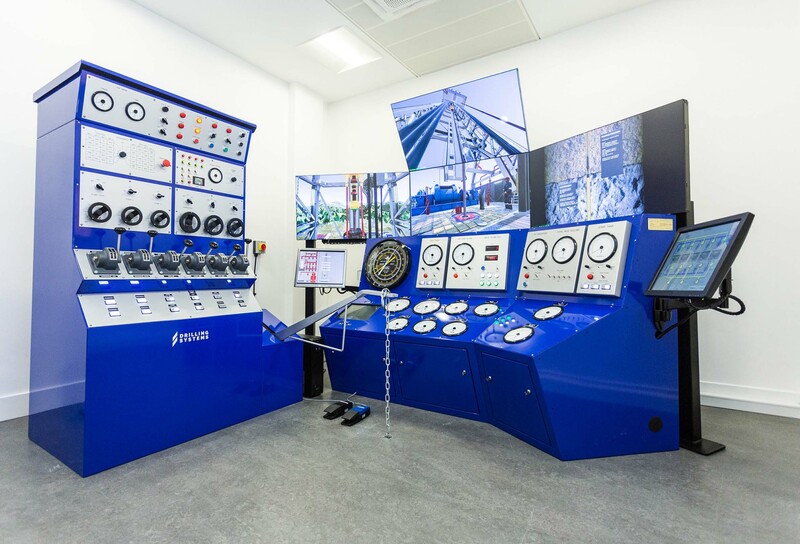 This is a rig simulator and it is linked to the Dart drilling simulator suite that RGU and KCA Deutag own in joint venture. The facility offers two simulators … the DS 6000 which is a modern cyberspace set-up, plus there’s the DS 5000, which is an older, manual rig system, which has been configured to support well abandonment modelling and simulation runs. Mr Banks said: “OGTC is supporting this as it enables companies and other organisations to trial procedures and practices before they go operational offshore. “It enables the competence and confidence of those involved in an offshore well decom programme to be honed, for them to safely and securely digitally dry-run as a team what is planned and learn before heading offshore to do the real thing more effectively and efficiently than would otherwise be the case without such a facility. In short, it adds up to a test-bed for new products and methodologies designed to improve well decommissioning. Two further projects involve Oilfield Innovation, which is working on tubulars compaction: and Sudelac with its tubing former system. Oilfield Innovation is examining the opportunity to given access to a perhaps 100ft window in well tubing or casing, rather than recovering the whole piece. If it hasn’t been cemented, the idea is that one can effectively go in, cut it and potentially some form of slotting too, but then hydraulically squash it out of the way by collapsing the casing below in on itself to enable the placement of barriers, carry out detailed formation inspection or whatever else above. The system has been trialled successfully using an onshore well. A 5-½ inch section of tubing was successfully compacted inside a 9-5/8ths inch casing. Footage of the trial can be found on YouTube and both Oilfield Innovations and the OGTC is looking to explore the budding technology further. Sudelac was formed some years ago by Paul Howlett of Caledus wellbore technologies fame. The firm has developed a number of well decom-related products over the past five years or so, including cement plug placement equipment. It is currently working on further related technologies but little information is in public domain. Prior to OGTC, Howlett had a relationship with ITF, which was absorbed into the former early this year. The project that has captured OGTC’s interest in the decom context is a system to shape tubulars downhole effectively “centralising” them within the outer well-string assembly. OGTC’s been doing work with the Advanced Forming Research Centre (AFRC) at Strathclyde University to model the principle. The purpose is to improve the potential for cementing the tubing in place as part of the abandonment process, hence eliminating the need to recover it. Looking into the future, needless to say, further well-related projects are being discussed between the OGTC, operators and the supply chain.